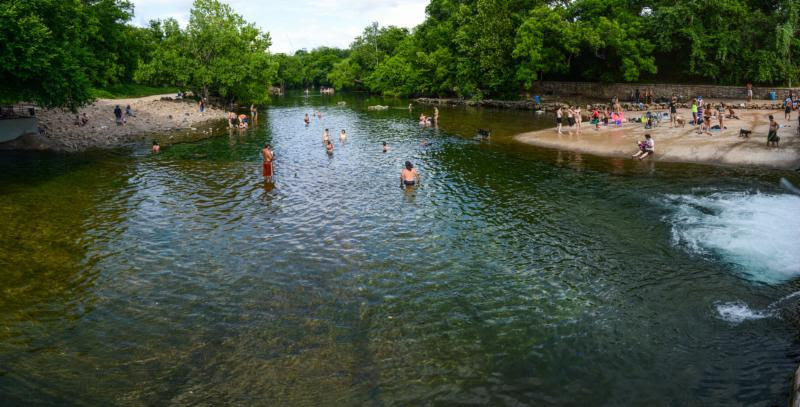 In 1998 Austin voters approved $65 million in bonds for permanent protection of Barton Springs Edwards Aquifer watershed lands. It was the best money ever spent by City voters and ratepayers, protecting more than 15,000 acres forever, erasing thousands of homes of planned development and preventing tens of thousands of car trips per day of traffic from pouring on to clogged roadways in southwest Austin. Now it's time to speak up for more City of Austin bonds to save more Barton Springs watershed lands before it's too late. This Tuesday, Wednesday and Thursday (Nov.28, 29, 30) and the following Monday and Tuesday (Dec. 4 and 5) the City of Austin is hosting a series of public meetings around town to take public input on a bond package to be presented to voters in November 2018. See the details on locations and times of these meetings here. Please attend one of these meetings and join us in asking that at least $100 million be proposed to voters for buying land and conservation easements in the Onion and Barton Creek watersheds. Also, please take a survey on the bond proposal here and join us in urging a top priority for buying park and watershed protection lands now, before it's too late. 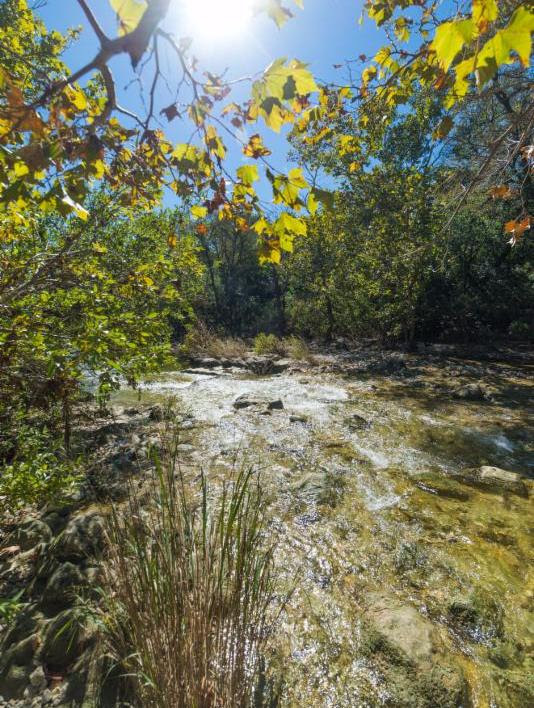 Time is short for taking more Barton Springs watershed lands out of the development pool. It's the best way to protect the springs and prevent flooding in the lower Onion and Slaughter Creek watersheds. We've shown it's cheaper to save Barton Springs than pave the watershed. Buying land and conservation easements, rather than building and expanding roads to serve development we don't want in the first place, is the best way to meet our water, transportation, flood prevention, and park land needs all at once. Mark Your Calendars for the SOS Holiday Party Friday December 8th, 6 pm - midnight at the American Legion Charles Johnson House. Help us celebrate 25 years with interesting people, food, music and our best silent auction yet. We are adding a large tent this year on the front lawn for a SOS presentation and as an area for some SOS socializing so be sure to join us! 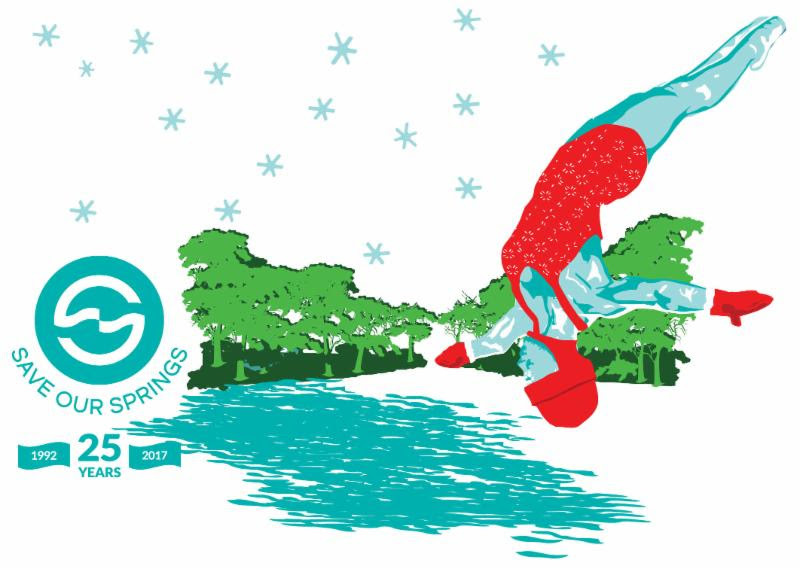 Please consider a year end donation to Save Our Springs. All donations will be matched 50% by the Kirk Mitchell Environmental Law Fund until the end of the year.